Revolutionize your skin with medical grade peels that can clinically transform your complexion. 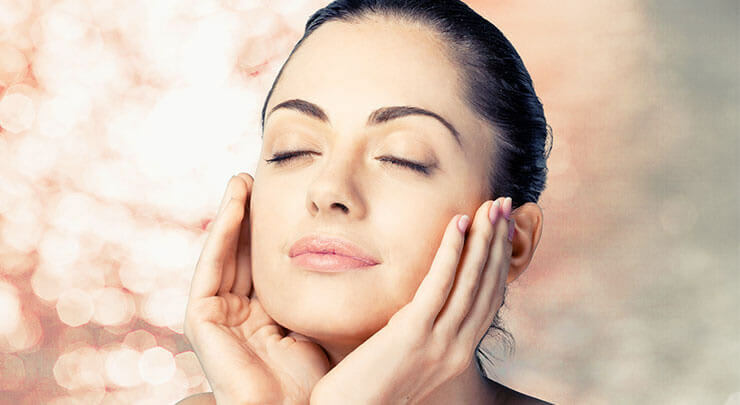 Each medical grade peel treatment is tailored to address the particular issues of the patient, varying in strength to achieve the desired amount of subtle, gradual or astonishing transformation. Treatment can smooth out fine lines, minimize pigmentation irregularities and improve the texture and quality of the skin. This patient had severe acne. After a single peel, she experienced a beautiful improvement! Or, it can be performed in conjunction with other cosmetic skin treatments, such as photofacial rejuvenation and fillers, to achieve complete complexion rejuvenation. The intensity of chemical peel, from mild to deep, is determined by the concern and the patient’s skin. For example, thicker skin may require a peel that contains a more aggressive formulation so that it can work more deeply into the dermal layers in order to obtain the desired results better. A lighter peel may be necessary for patients whose skin is sensitive and more fragile. This list is not complete. A list of contraindications will be given to you prior to the treatment. You should briefly go over your medical history. 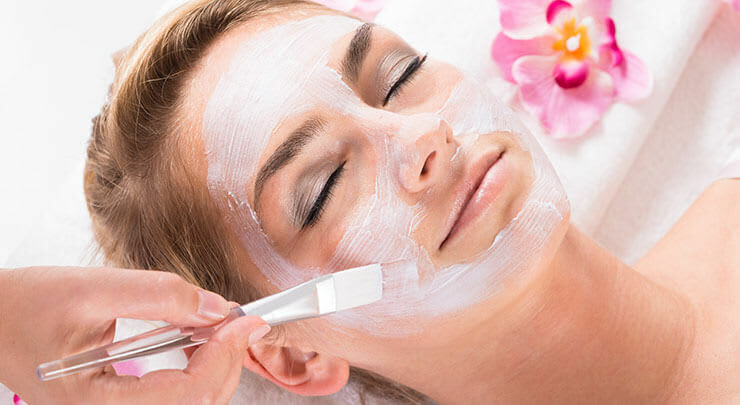 Chemical peels are considered a relatively gentle treatment that can help your skin look better and become healthier. Lighter chemical peels achieve results that improve with subsequent treatments while you may just need one deep peel to achieve much longer lasting results. Without knowing what makes for a good or bad chemical peel patient, it can be difficult to tell if you’re an appropriate candidate. Understanding who is suitable for the treatment lets you know whether or not a chemical peel is the right skin improvement method for your needs. Almost everyone can see results from a chemical peel but the most ideal candidates are females and males in good physical health with realistic expectations.A good chemical peel patient has realistic expectations for their treatment and knows what to expect from the process. 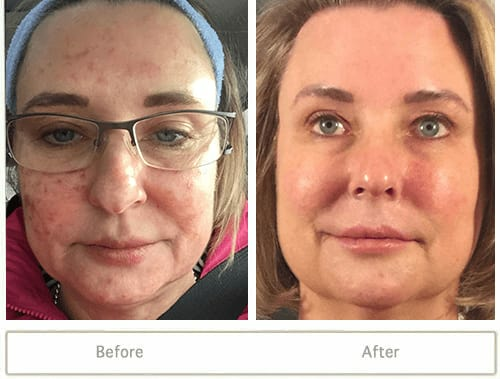 It’s important to recognize that among the more serious skin conditions that a chemical peel can treat are photodamage (like freckles or age-related spotting), fine lining around the mouth and eyes, mild to moderate scarring, acne and hyperpigmentation. People that go into their treatment expecting help with other problems should reconsider a peel and work with their physician to find a better, alternative method. Chemical peels can also cause side effects. An ideal candidate is ready to properly care for their skin during this period of time and wait for resolution of any negative effects they may experience. Good patients are ready to protect their skin with moisturizers and sunscreen and wear bandages on the treatment site for several days following their peel. These candidates are also willing to deal with the possibility that their treatment may cause temporary redness, scaling, flaking, scarring or infection. Having unrealistic expectations makes for a bad chemical peel candidate. If you want a treatment that resolves problems like sagging skin, protruding bumps (from underneath the surface of the skin) or deep wrinkling then you’re not an appropriate fit for a chemical peel. If you’re currently taking Accutane (or have completed a course of Accutane treatment within the last one or two years) then you also may not be a good candidate.Patients that aren’t willing to exercise patience with the appearance of results and recovery from potential side effects make for non-ideal chemical peel candidates as well. Peels are capable of providing exceptional results but they require a degree of discomfort during the days of healing that come immediately following treatment. Encountering dirt and debris is a natural part of life that can lead to skin problems which, ultimately, worsen your complexion. Almost everyone suffers from issues related to clogged pores at one point of their life or another, and that’s why gentle exfoliation techniques like a medical grade peel can help a lot in thoroughly cleansing the skin and keeping your complexion as clean and beautiful as possible. Keeping your pores clean of dirt and debris is essential for achieving or maintaining clear, healthy skin. Pores are the most basic (and influential) factor involved with how healthy a person’s complexion is and, if they become clogged, many different skin problems — from acne to uneven skin texture or colouring — quickly arise. Pores can easily become clogged when foreign matter — like dirt and debris — and excessive oil block their openings. Dead cells that haven’t been removed by washing or scrubbing can also build up and interfere with the pores as well. Excessive dirt and debris build-up on the skin is the most avoidable problem, however, and taking care to attend to this is important. How Do I Keep Dirt and Debris Out? Certain genetic factors contribute to how easily dirt and debris can block your pores and lead to a worsened complexion. People with oily skin or enlarged pores are much more likely to suffer from clogging for example. Sebaceous oil that naturally comes to the skin’s surface through the pores, when it becomes excessive, blocks the pores and stops them from rejecting external contaminants. Enlarged pores also make it easier for foreign or biological matter to get trapped because, simply enough, they are larger in size and can more easily be affected by external material. Although pore size and oil production are caused by genetics, there are ways to keep these problems in check. By avoiding excessive sun exposure and keeping properly hydrated, you’re able to give your skin the tools it needs to carry out its natural functions at its highest capabilities. The skin will reject matter from it naturally and water helps to facilitate this. Dehydration deprives it of the ability to perform this vital function and sun exposure, aside from drying out the skin, can also lead to enlarged pores that further exasperate the problem. Dirt and debris can also make their way into pores through insufficient handwashing and excessive face touching. Always be mindful to keep your hands away from the sensitive skin of your face to minimize exposure and be sure to watch your face twice a day with a mild cleanser that helps in removing debris.